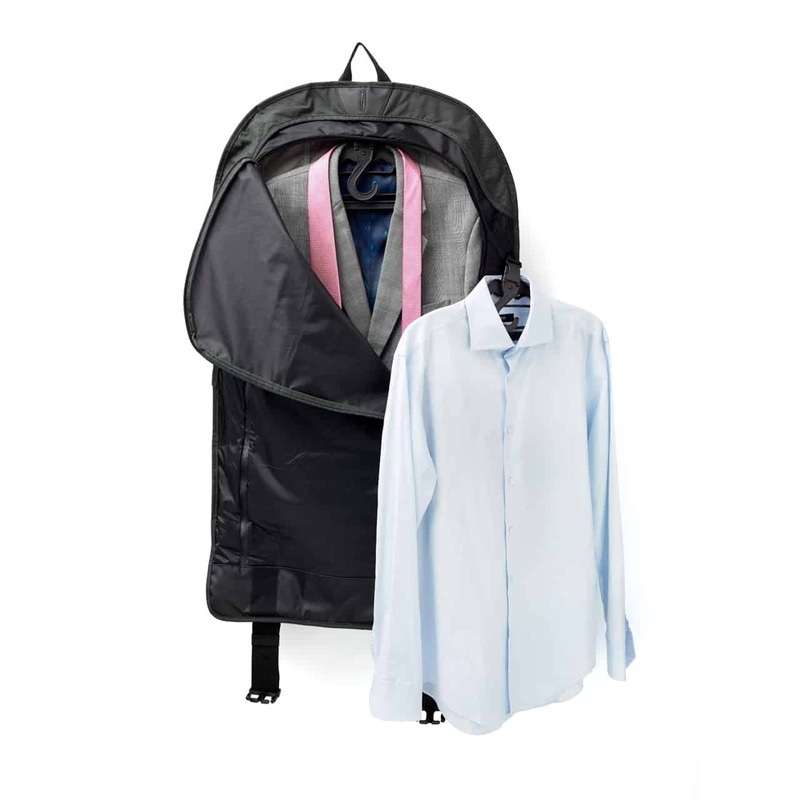 The Wingman Backpack is a multi-purpose suit and garment bag that enables easy and versatile all weather commuting and travel. It allows you to transport work attire such as business suits, dresses, shirts or a uniform, plus your laptop and other tech devices and everyday essentials – all conveniently packed in a slick and stylish backpack. The Wingman Backpack is now weather proof without the need for the rain cover. The Wingman Backpack is not just your average suit bag. 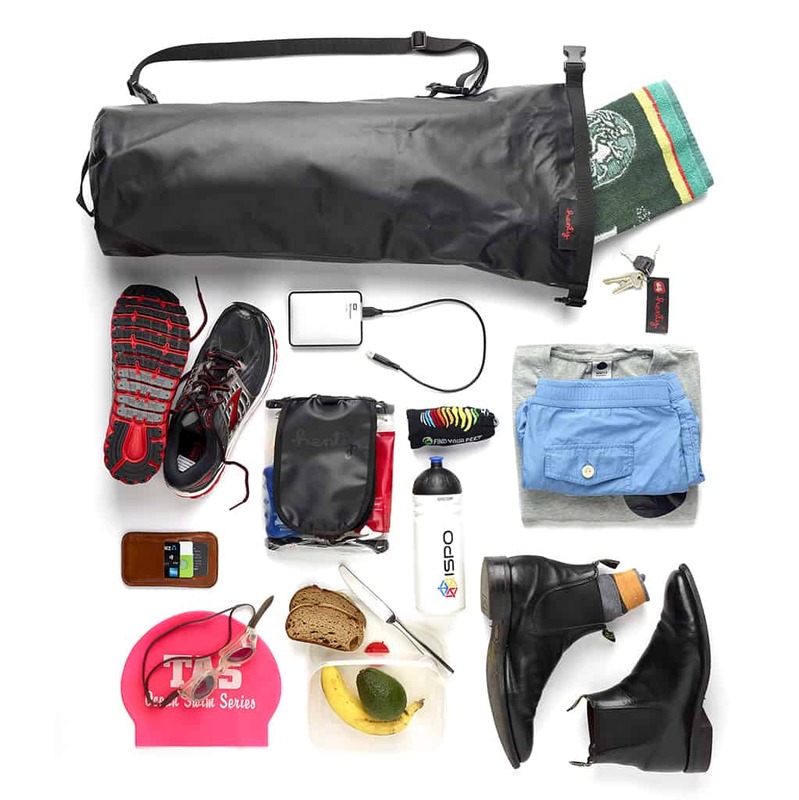 Use it to cycle, motorcycle or walk, run to work with your suit or take it on a plane. 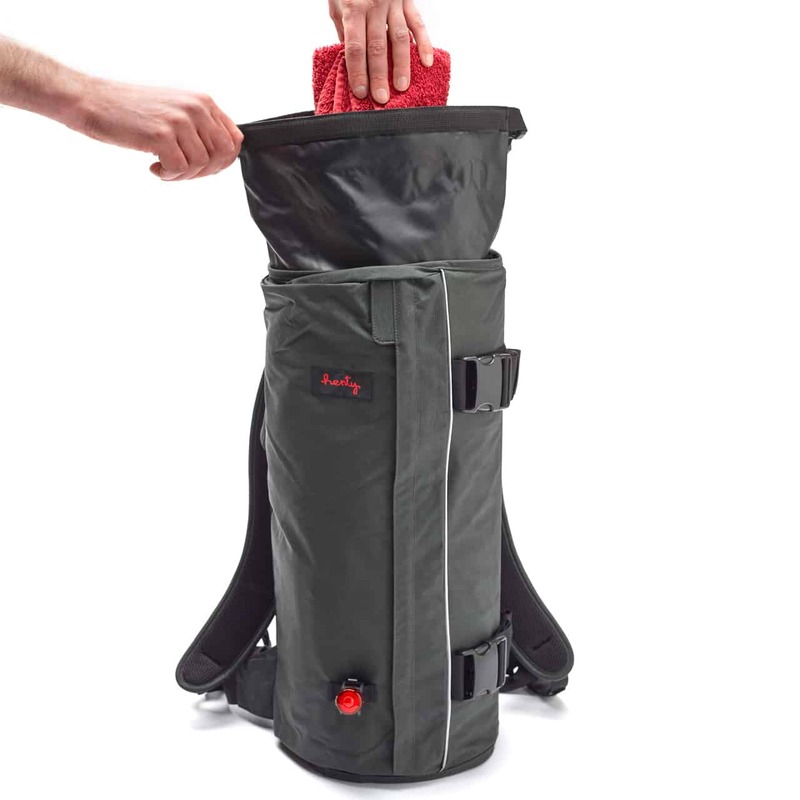 It’s a suit bag, garment bag, travel bag, carry-on bag, gym bag, portable locker… all rolled into a convenient backpack. 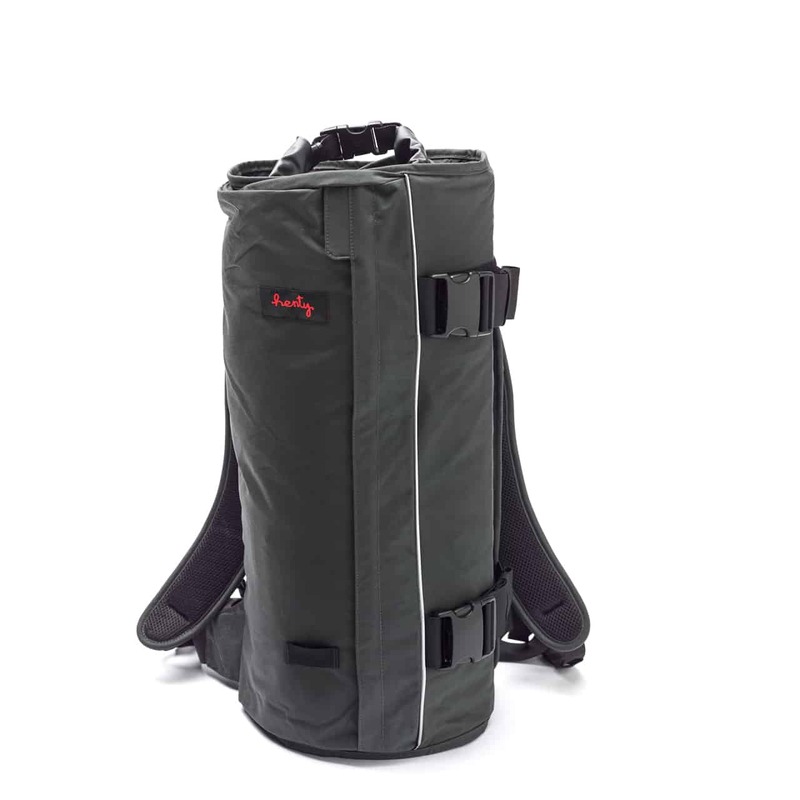 The Wingman Backpack comes with a 18 litre Inner Tube (gym / utility bag) and can be used together or separately. It has semi-rigid vertical ribs (made from 100 per cent recycled plastic from Tasmania) which restricts the diameter of the suit bag when rolled, and helps to minimise garment creasing. 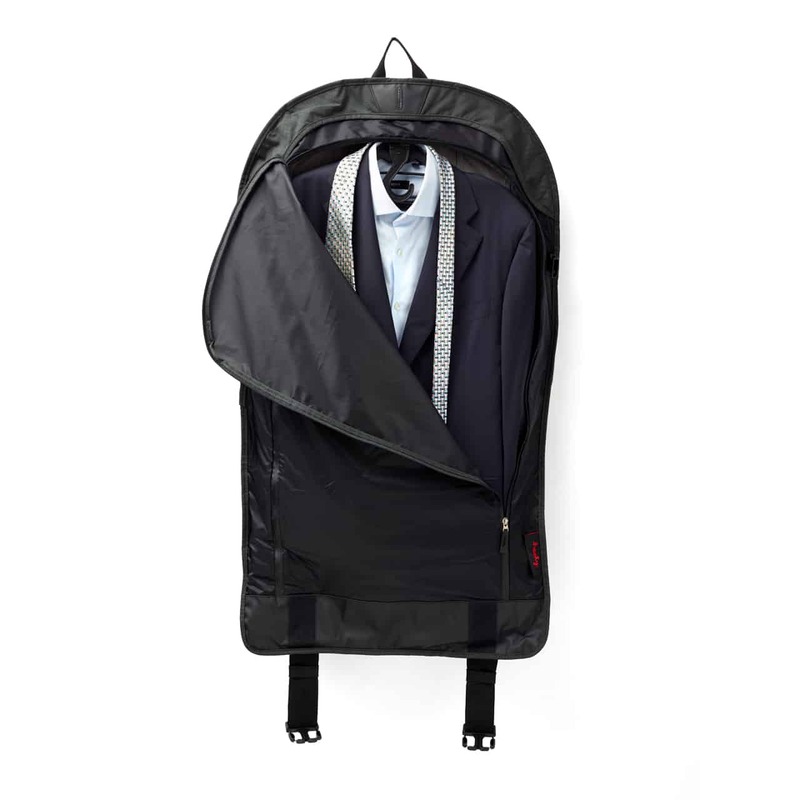 It’s this innovative design that differentiates the Henty garment bag range from their poorer cousins –traditional fold in half suit bags. a pair of shoes, gym gear, towel, toiletries, phone, wallet, keys, lunch and banana. What’s the difference between the Wingman Backpack and CoPilot Backpack: The main difference between the Wingman and CoPilot is capacity. 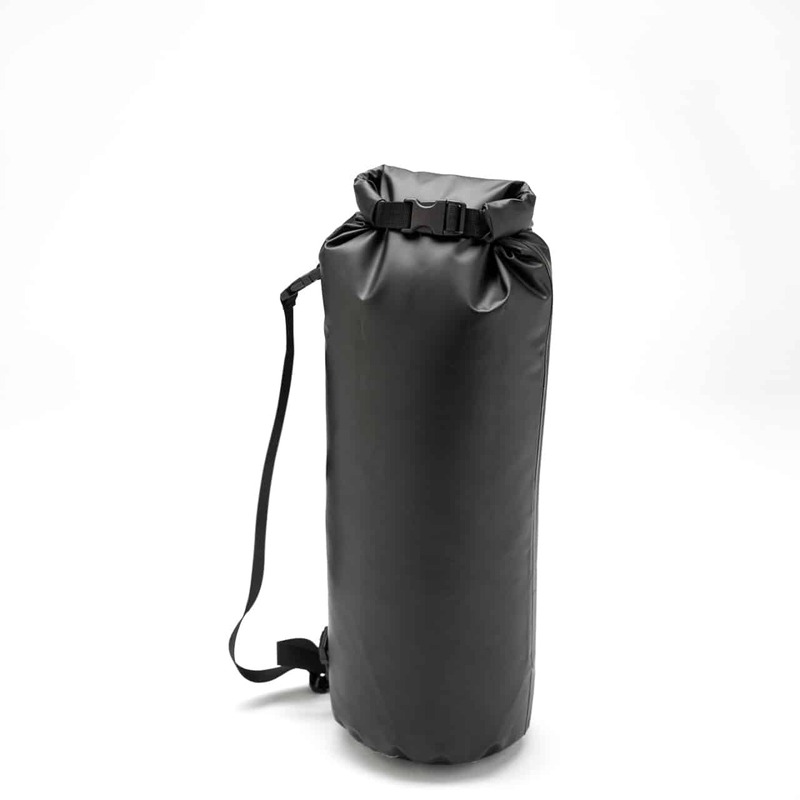 The Wingman comes with an 18L Inner Dry Bag compared to the 20L Inner Tube for the CoPilot Backpack. 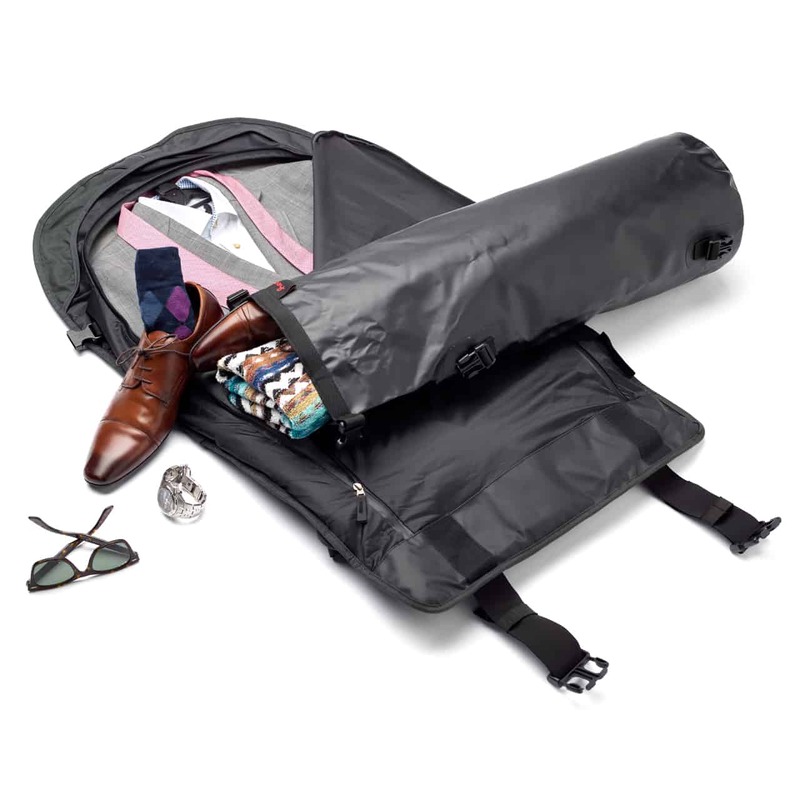 The garment compartment of the Wingman will take one suit, shirts and one pair of shoes (plus other items) compared to the CoPilot Messenger which is designed to take two suits, shirts and two pairs of shoes (plus other items). 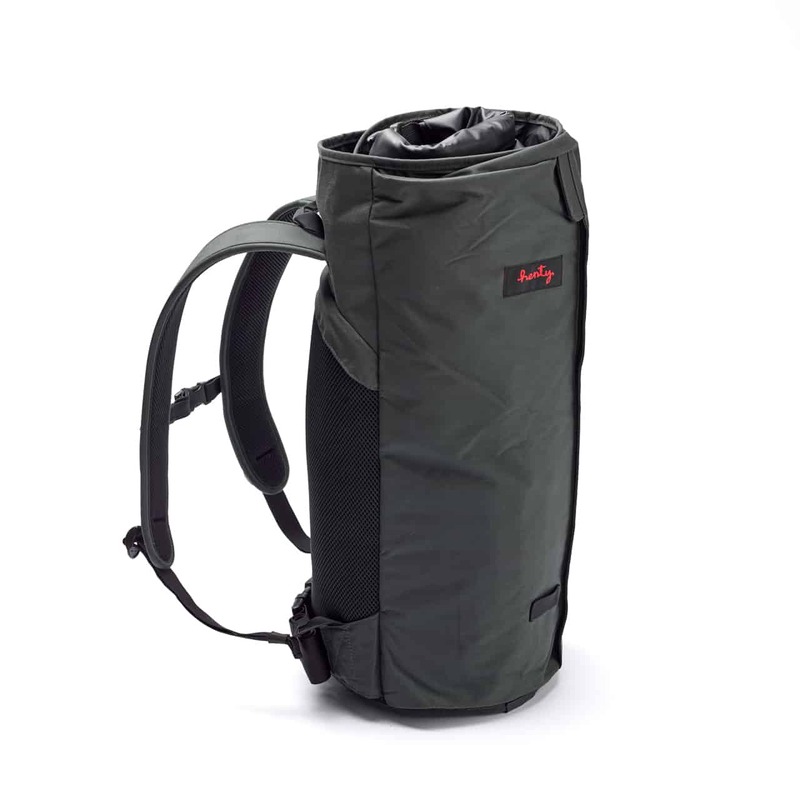 The Wingman uses the same patented rolling technology as the CoPilot, but it has been optimised for commuting with rubber zips, weather proof seams and the roll top dry bag. 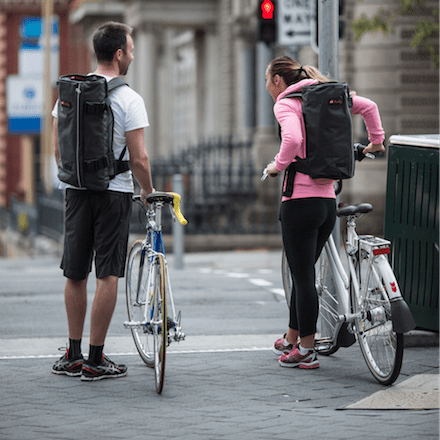 Is the Wingman suitable for riding or travel? 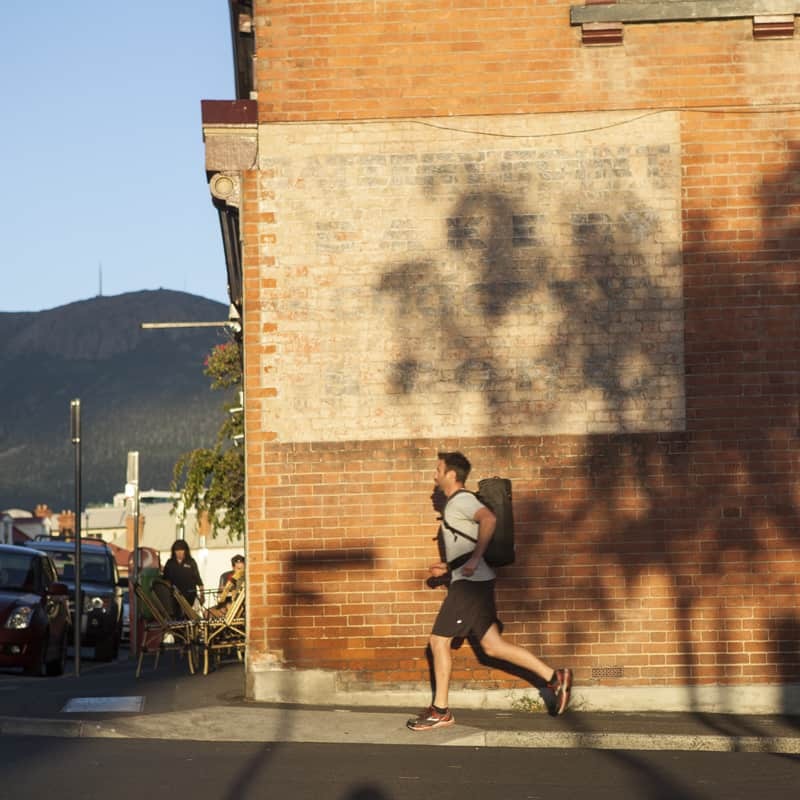 The Wingman Backpack has been optimised for commuting. 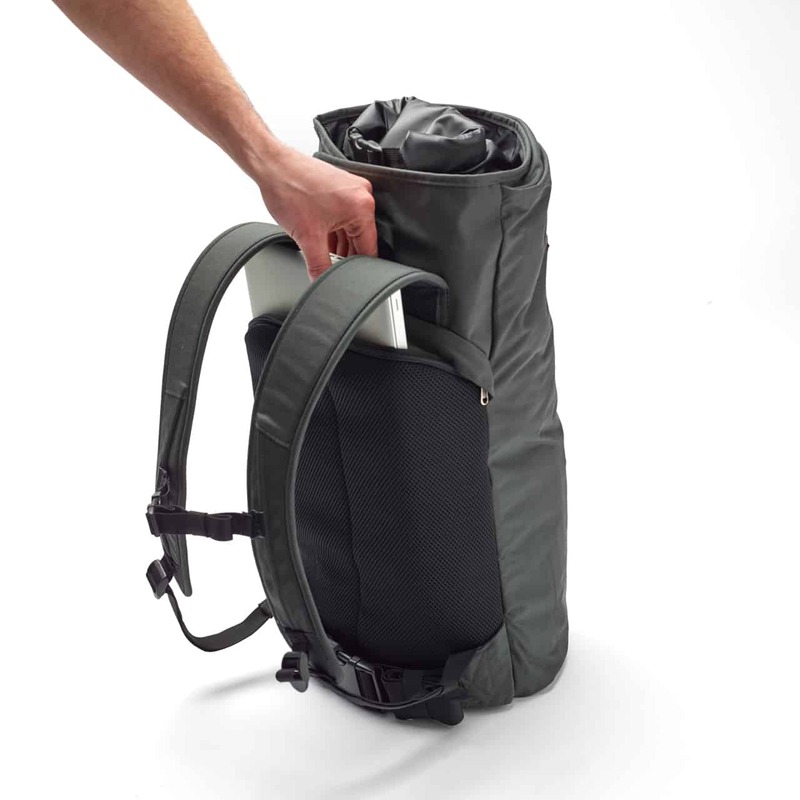 We’ve designed the Wingman so it has enough volume for a trip into the office or shorter business trips (1-3 days). 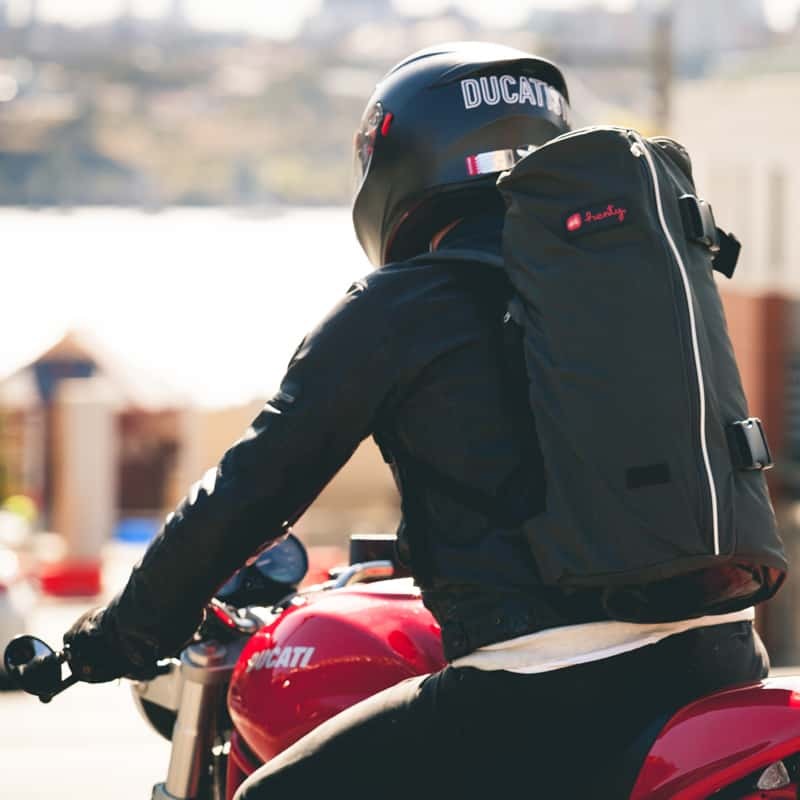 We recommend riding with the Wingman Backpack when riding for more than 30 minutes. Is the Wingman within airline carry-on dimensions: Yes, we’ve designed the Wingman to be within airline carry-on (cabin) luggage specifications. 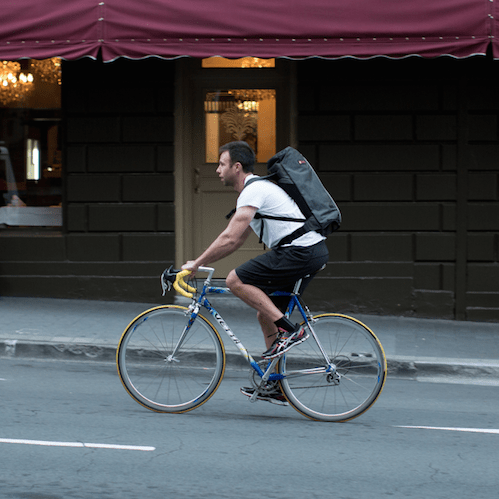 Recommended for: Anyone who (wants to) cycles, runs or walks to work and needs to transport professional clothing.